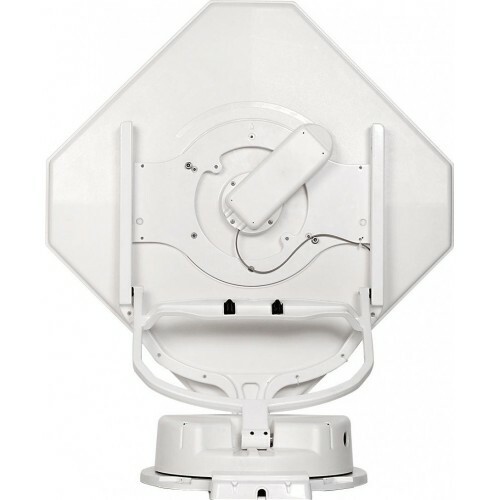 The Cytrac ® DX - Cutting-edge technology in a compact design for incredible reception range. We have been setting standards in the development of mobile satellite systems for more than 20 years. 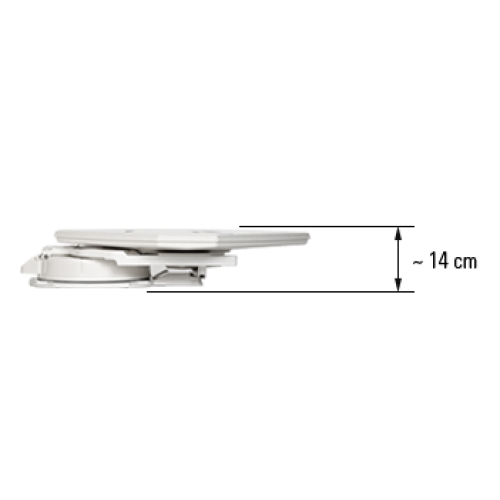 Now we are introducing our latest masterpiece, the Cytrac ® DX system which has been specifically developed to meet the stringent requirements for devices mounted to mobile homes and recreational vehicles. 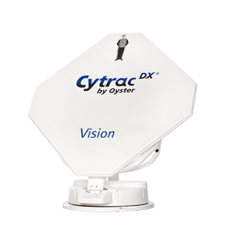 The innovative antenna technology that facilitates the enormous reception range forms the heart of the Cytrac ® DX system. It comprises 1016 interlinked single antennas arranged in a honeycomb pattern. This results in a reception range that is several hundred kilometres larger than that of anequally-sized flat-dish antenna. The light-weight Cytrac ® DX system is only 14 cm high. Thanks to its compact design, it fits onto almost any vehicle roof. Its robust exterior unit is made of cast aluminium and requires only little space as it rotates in open position only. The system is mechanically reinforced to resist even strong gusts of wind. Its surfaces are made of highly weather resistant PC-ASA plastic to shed off hail without taking any damage. A hail cover is therefore obsolete. 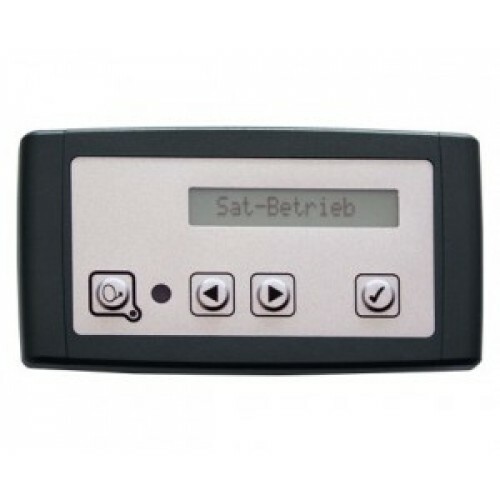 Operating the Cytrac ® DX system is easy and intuitive as it automatically aims itself at the selected satellite. 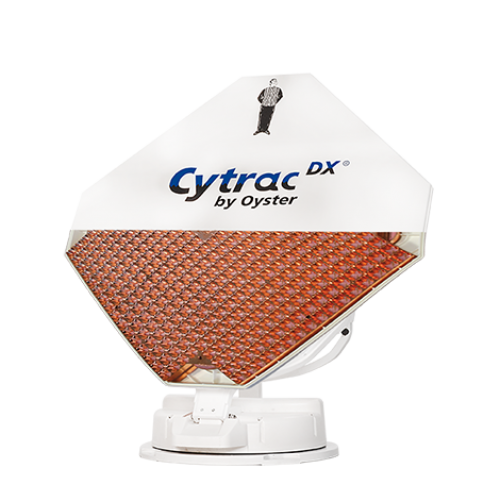 The core of the Cytrac ® DX system consists of 1016 interlinked single antennas arranged in a honeycomb pattern. The power supply to the two polarisation levels is strictly separated to attenuate any crosstalk, thereby creating a previously unknown signal purity that becomes especially obvious with HD channels. Signal accumulation uses the latest mathematical calculation methods to realise the stunning reception range.